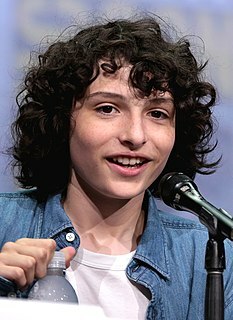 Wyatt Jess Oleff (born July 13, 2003) is an American actor known for playing Stanley Uris in the 2017 supernatural horror film It as well as its 2019 sequel. Both are directed by Andy Muschietti and based on the 1986 horror novel of the same name by Stephen King. 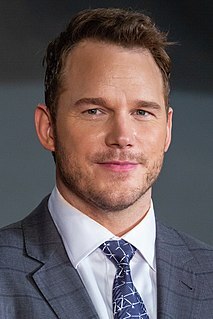 Oleff also had a minor role in the Marvel Studios films Guardians of the Galaxy and Guardians of the Galaxy Volume 2, as the young Peter Quill. Oleff was born in Chicago, Illinois, to Doug and Jennifer Oleff, living there for the first seven years of his life. He then moved to Los Angeles with his parents and began acting. One of his earliest acting roles was in a commercial for Coldwell Banker. 2012 Animal Practice Young George Episode: "Who's afraid of Virginia Coleman?" Suburgatory Kevuel Episode: "T-ball & Sympathy"
Shake it Up! Byron/Kid Episode: "Haunt it Up!" Once Upon a Time Young Rumplestiltskin Episode: "Think Lovely Thoughts"
2014 Scorpion Owen Episode: "Dominoes"
^ a b c d "'IT' star Wyatt Oleff says the movie is "a coming of age story"". ^ "Wyatt Oleff on Instagram". Instagram. 13 July 2017. Retrieved 3 April 2018. ^ "It (2017) - Andy Muschietti - Synopsis, Characteristics, Moods, Themes and Related - AllMovie". AllMovie. ^ "'It' star Wyatt Oleff on the Losers Club's battle with Pennywise, what sets the remake apart". New York Daily News. Karen Sheila Gillan is a Scottish actress, voice actress, director, screenwriter and model. She had played Amy Pond, companion to the Eleventh Doctor, in the BBC One series Doctor Who (2010–2013). She has received wide recognition for portraying Nebula in the Marvel Cinematic Universe films Guardians of the Galaxy (2014), Guardians of the Galaxy Vol. 2 (2017), Avengers: Infinity War (2018) and Avengers: Endgame (2019) as well as Martha in Jumanji: Welcome to the Jungle (2017). Michael Christopher Manning is an American actor, producer, television personality and activist. Manning first gained fame as a cast member on the MTV series The Real World: D.C. Since then he has starred in a number of films and television programs, such as the 2014 Disney Channel original movie Cloud 9, in which he played Nick Swift, Hawaii Five-0 and Love Is All You Need?, and produced the documentary Kidnapped for Christ. Daisy Jazz Isobel Ridley is an English actress. 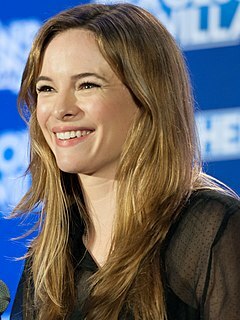 Born in Westminster and brought up in Maida Vale, Ridley trained in drama at the Tring Park School for the Performing Arts. 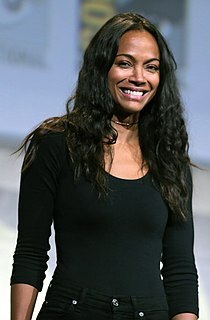 She began acting in minor guest roles on television and in short films, making her film debut in the independent horror film Scrawl (2015). 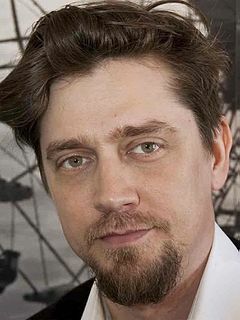 Andrés Muschietti is an Argentine film director and screenwriter, best known for directing the 2013 horror film Mama and the eponymous 2017 adaptation of Stephen King's novel It. He is brother of Barbara Muschietti, who works as producer on his films. It is an 2017 American supernatural horror film based on Stephen King's 1986 novel of the same name. Produced by New Line Cinema, RatPac-Dune Entertainment, KatzSmith Productions, Lin Pictures, Vertigo Entertainment, and distributed by Warner Bros. It is the second adaptation of the novel following Tommy Lee Wallace's 1990 miniseries, and a sequel is planned. The film tells the story of seven children in Derry, Maine, who are terrorized by the eponymous being, only to face their own personal demons in the process. The film is also known as It: Part 1 – The Losers' Club. It: Chapter Two is an upcoming American supernatural horror film and the sequel to the 2017 film It. Both parts were adapted from the 1986 novel It by Stephen King. The film is produced by New Line Cinema, RatPac-Dune Entertainment, Vertigo Entertainment, and Rideback, and distributed by Warner Bros. Pictures. 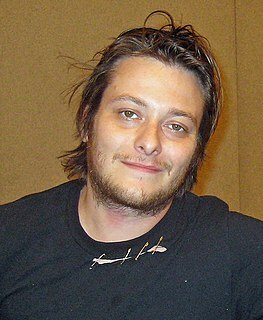 The second part is directed by Andy Muschietti and written by Gary Dauberman. Set in 2016, 27 years after the events of 1989 described in the first film, the film stars Bill Skarsgård, who reprises his role as Pennywise. It also stars James McAvoy, Jessica Chastain, Bill Hader, Jay Ryan, Isaiah Mustafa, James Ransone, and Andy Bean, who portray the adult versions of The Losers Club, while Jaeden Lieberher, Sophia Lillis, Finn Wolfhard, Jeremy Ray Taylor, Chosen Jacobs, Jack Dylan Grazer, and Wyatt Oleff return from the first film as the younger Losers, respectively. Dafne Keen Fernández is a British and Spanish actress who played the role of Ana "Ani" Cruz Oliver in the television series The Refugees, and the mutant Laura Kinney / X-23 in the 2017 film Logan.